During this series I have tested and discovered so many new products/brands and while not everything made the cut, I loved so much of what I tried and in the post I have picked my favourites from the bunch, ones that I now consider absolute staples and would happily repurchase again and again. Ingredients: Hamamelis Virginiana (Witchhazel) Water*, Rosa Damascena Flower Water*, Alcohol*, Decyl Glucoside, Citrus Grandis (Grapefruit) Peel Oil*, Mentha Piperita (Peppermint) Oil*, Backhousia Citriodora (Lemon Myrtle) Peel Oil*, Parfum*, Limonene+ *Organic +Naturally occurs in essential oils. This lovely toner was gifted to me by the incredibly sweet and generous Swapna over at Beauty Motormouth and it has been one of my favourite discoveries during the Best of British series. It is so light and refreshing and I’ve used it so much that I am already almost out. This is a great toner for those with combination/oily skin because it is incredibly balancing without being drying and the antibacterial properties mean it will also help to heal and prevent blemishes. It has a delicate herbal-y lemon scent and I’ve really enjoyed using this in the morning because of how fresh it smells. The packaging is beautiful – I love the lightweight frosted glass bottle although I would say it could use a new top. The original one has a spray that isn’t fine enough to be applied directly to the skin, which I think is such a shame because this would be perfect as a facial mist. 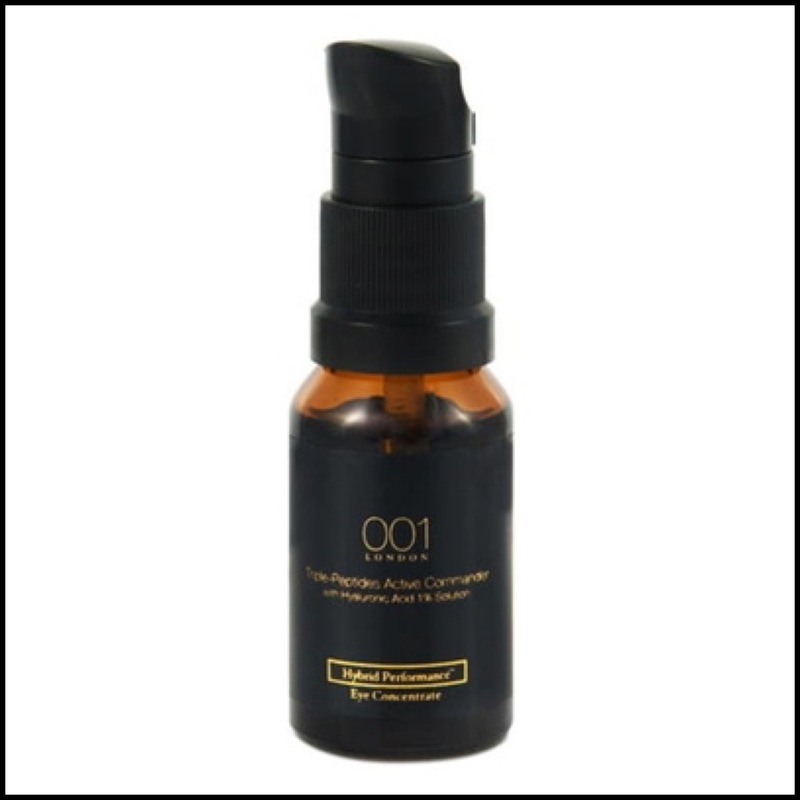 I used to use it with a cotton pad until I switched the top with one from another toner and now I love it even more – spritzing it on the skin feels great and is the nicest way to use this product. Therapi are a lovely little independent brand produced in the beautiful English countryside and I can’t wait to do a full review of the products because I also have the Orange Blossom Toner (so beautiful), Orange Blossom Honey Gel Cleanser (highly recommended by Imelda from Content Beauty) and the Lemon Myrtle Honey Moisturiser which I think will be perfect come summer. All the products contain only natural and organic ingredients and I am so excited because now they are available in the US from Credo Beauty. Stayed tuned because I have a lot more to say about this wonderful brand! Ingredients: Citrus Aurantium Amara (Neroli) Flower, Water Aqua, Citrus Limon (Lemon) Fruit Extract, Glycerin, Alcohol Denat., Sucrose, Glycolic Acid, Sodium Hyaluronate, Xanthan Gum, Citric Acid, Phenoxyethanol, Ethylhexylglycerin. 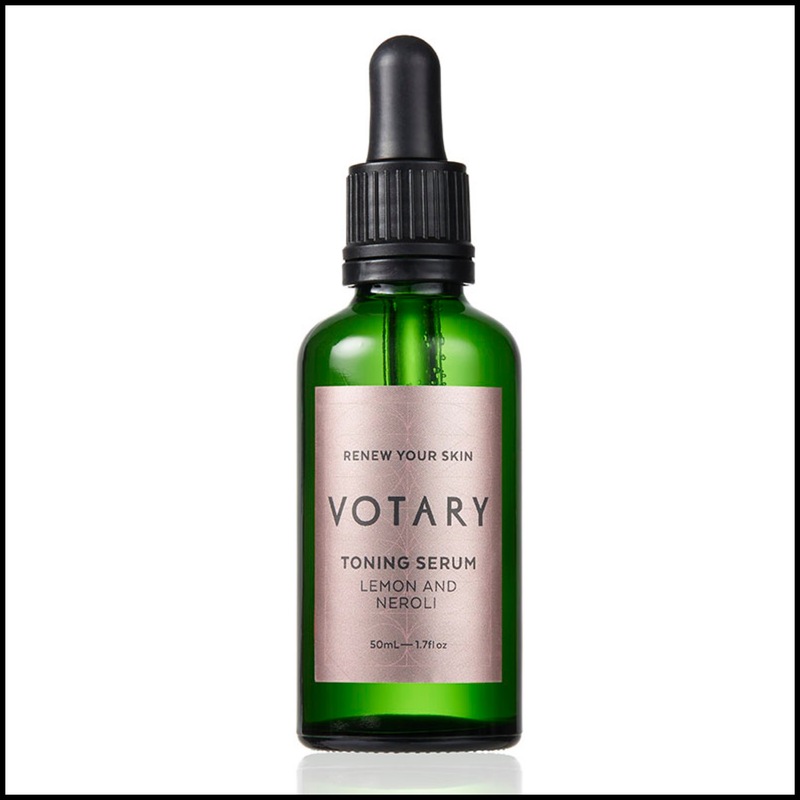 Ever since I discovered Votary, this product in particular has been a pretty consistent staple in my skincare routines. This is a beautiful “acid toner” that has been just the right amount of exfoliation my skin has been needing and I love how gentle it is. It is incredibly watery and more like a traditional toner than a traditional serum (I know some of you were confused by this) and because of this could really use a spray top to allow direct application to the skin. I actually enjoy patting it in using my hands but it would be nice to have the option. I have done a full review of the product here so I won’t say much more other than if you are looking for a very gentle daily acid toner then I highly recommend this one. It’s expensive but I’ve really seen a difference in my skin tone and texture, all without the irritation that can come with higher strength acids. Ingredients: Aloe Barbadensis Leaf Juice*, Glycerin, Salix Nigra Bark Extract, Copaifera Officinalis (Balsam Copaiba) Resin*, Aqua (Water), Lysolecithin, Sclerotium Gum, Carapa Guaianensis Seed Oil*, Euterpe Oleracea Fruit Oil*, Xanthan Gum, Epolobium Fleischeri Extract*,Sodium Dehydroacetate, Pullulan, Tocopherol, Citric Acid, Sodium Levulinate, Sodium Anisate, Potassium Sorbate. *ingredients from organic farming. Even though I have only been using this serum for about 3 weeks I am already obsessed. S5 are the more “clinical” alternative to Evolve (both are run by the same incredible women) and I love what they have going on. 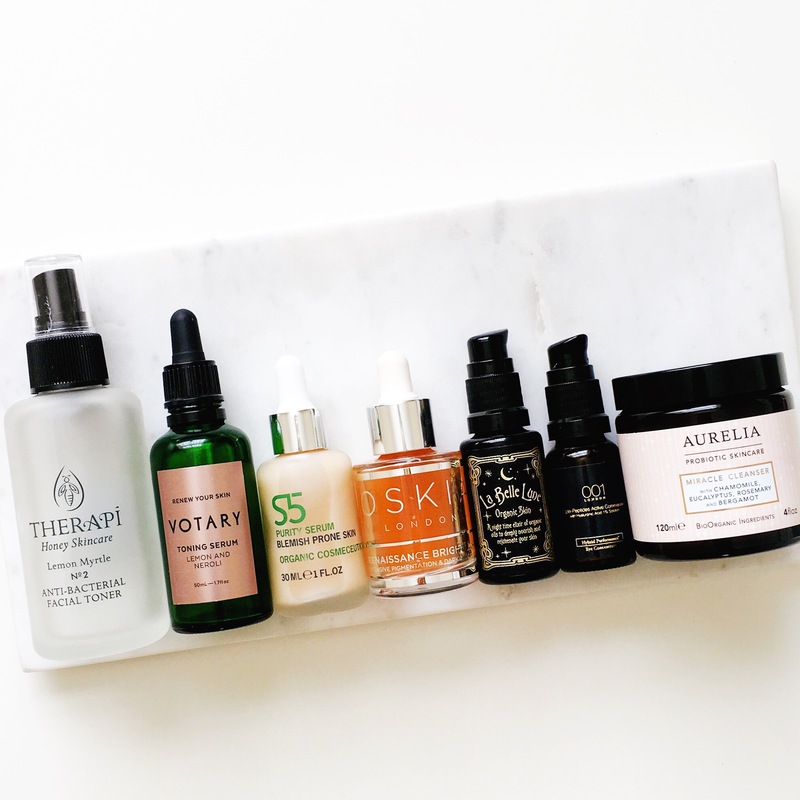 This is exactly the type of serum I have always been searching for and I can’t wait to do a full review because heads up green beauty babes – this is the plant based/natural/organic version of my beloved Bravura 2% Salicyclic Acid Peel and the results are just as good. All the serums in the range sound amazing and there is something for everyone, so I think I will end up doing a feature on them all but for now this new discovery is an absolute favourite and I highly recommend it for those with acne prone or oily skin. Ingredients: Aqua (Water), Sodium Ascorbyl Phosphate (Vitamin C Phosphate), Niacinamide (Vitamin B3), Dimethyl Sulfone (Msm), Zinc Glycinate, Arbutin, Glutathione, Lepidium Sativum (Cress) Sprout Extract, Lactobacillus/Pumpkin Fruit Ferment Filtrate, Ascorbyl Palmitate (Vitamin C Palmitate), Sodium Hyaluronate, Tocopheryl Acetate (Vitamin E Acetate), Leuconostoc/Radish Root Ferment Filtrate, Glycerin, Citrus Limon (Lemon) Fruit Extract, Maltodextrin, Lecithin, Passiflora Edulis (Passion) Fruit Extract, Ananas Sativus (Pineapple) Fruit Extract, Vitis Vinifera (Grape) Fruit Extract, Carica Papaya Fruit Extract, Rhodinols (Natural Rhodinol), Inulin, Alpha-Glucan Oligosaccharide, Cymbopogon Martini (Organic Palmarosa) Oil, Anthemis Nobilis (Organic Roman Chamomile) Flower Oil, Rosa Damascena (Organic Rose) Flower Oil, Linolenic/Linoleic Acid, Cinnamomum Camphora Linalooliferum (Ho) Wood Oil, Saccharomyces/Magnesium Ferment, Pelargonium Graveolens (Organic Bourbon Geranium) Oil, Saccharomyces/Copper Ferment, Saccharomyces/Silicon Ferment, Saccharomyces/Zinc Ferment, Saccharomyces/Iron Ferment, Jojoba Esters, Juniperus Mexicana (Cedar) Wood Oil, Eugenia Caryophyllus (Organic Clove) Bud Oil, Phenethyl Alcohol, Potassium Sorbate, Ethylhexylglycerin, Sodium Bisulfite, Disodium EDTA, Alcohol, Alcohol Denat., Phenoxyethanol, Citronellol, Geraniol, Linalool, Eugenol, CI 77491 (Iron Oxides). This being a favourite will come as no surprise to many of you as I have raved about it and recommended it countless times. It’s one of the best launches of the year so far and has more than lived up to it’s claims for me. I’ve had it for almost 2 months now and in the beginning I used it morning and night almost every day and saw really great results but now I only use it in the morning as maintenance and to also prevent any new hyperpigmentation. Because of the gel-serum texture I definitely recommend either waiting at least 30 seconds before moving on to your next step to prevent pilling or applying it immediately after your toner while your skin is still slightly damn to help with absorption. This method works best for me but you can also mix it with your moisturizer, too. 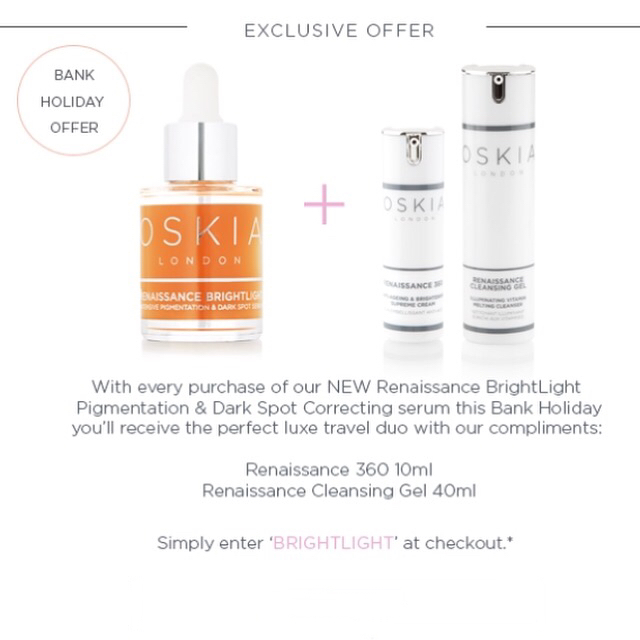 I have a full review of the product here and if you have been considering getting this then now’s the time as OSKIA have an amazing Bank Holiday offer (below) that is too good to miss! This amazing brand really needs to be sold directly in the US and I am just praying that Space NK or Sephora bring it over soon so we can have better access to them. This product needs no introduction at this point because if you follow me on Instagram you would have seen it in so many of my routine posts – I am just that addicted to this oil. The wonderful founder Annabelle has whipped up a truly beautiful concoction that has done wonders for my skin and now I can’t be without my magical potion. I have a full review of it here and all I can do is just repeat the overall sentiment in that post: this is the best oil I have ever used and I love it. This oil is suited to everyone but if you have acne prone skin then this would be especially good for you because it is incredibly healing and will help to prevent any acne scarring. I cannot recommend it enough and if you haven’t tried it yet Content currently have 10% off with the code BANK so now’s your chance. Ingredients: Aqua, Hydroxypropyl Methylcellulose, Argireline (Acetyl Hexapeptide-8), Glycerin, Propylene Glycol, Butylene Glycol, Carbomer, Polysorbate 20, Palmitoyl Oligopeptide, Palmitoyl Tetrapeptide-7, Sodium Hyaluronate, Aloe Barbadensis Leaf Juice, Phenoxyethanol, Locicera Caprifolium (Honeysuckle) Flower Extract, Lonicera Japonica. 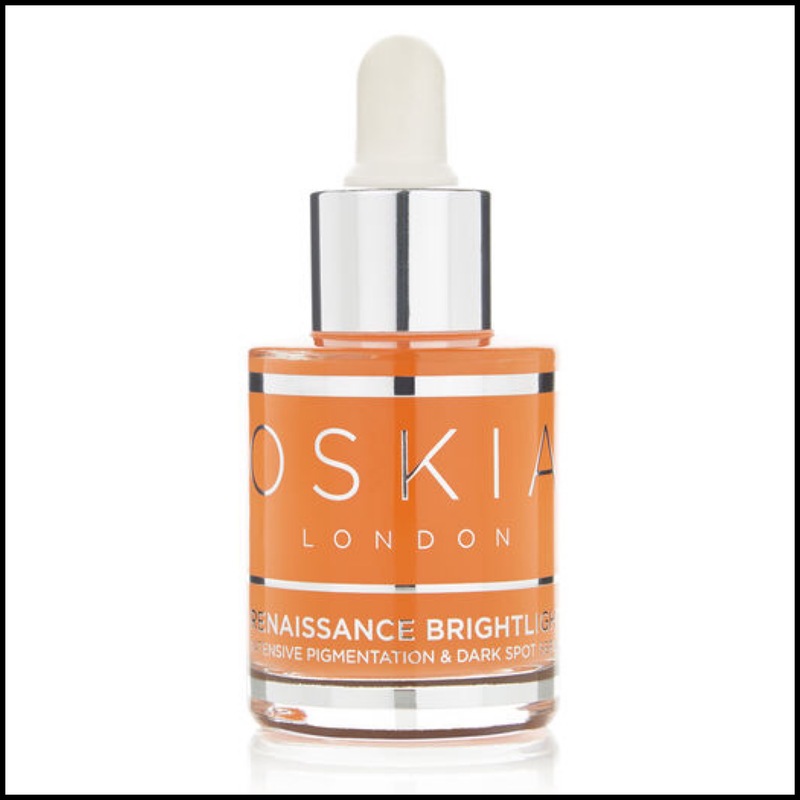 I was introduced to this eye serum when I had my amazing 001 Bespoke Hybrid Facial at the beautiful Fortnum & Mason’s. I fell in love with the texture and in particular, how well it worked with my other favourite, the incredible Eyecicle. These two together made a remarkable difference to my tired eyes and I love using them together when I need to perk up my eye area or treat any darkness or puffiness. I will be doing a full review of both soon but until then you can read a little more about both here. Ingredients: Aqua/Water (purified water), Dicapryly carbonate (coconut-derived cleanser & emollient), Cetearyl alcohol (vegetable based thickener), Glycerin (vegetable glycerine), Cocoglycerides (emollient from coconut oil), Butyrospermum parkii (shea butter), Glyceryl stearate (natural glycerides & thickener), Cetearyl glucoside (corn sugar emulsifier), Rhus verniciflua peel wax (berry wax), Theobroma cacoa (cocoa butter), Kigelia Africana fruit extract (Botanical Kigelia Africana ), Hibiscus sabdariffa flower extract (Hibiscus flower), Adansonia digitata fruit extract (Botanical Baobab),Lactose (probiotic bifidoculture milk extract), Lactis proteinum/Milk protein (probiotic protein), Bifida ferment lysate (probiotic culture), Schinziophyton Rautanenii kernel oil (Botanical Ubuntu Mongongo oil), Panthenol ( Pro-vitamin B5), Sodium ascorbyl phosphate (Vitamin C), Rosmarinus officinalis leaf oil (Rosemary essential oil), Citrus aurantium bergamia peel oil (Bergamot essential oil), Anthemis nobilis oil (Chamomile essential oil), Eucalyptus globulus leaf oil (Eucalyptus essential oil), Xanthan gum (natural based stabilizer), Sodium stearoyl glutamate (naturally derived emulsifier), Tocopheryl acetate (Vitamin E), Benzyl alcohol (preservative), Dehydroacetic acid (preservative), Citric acid (fruit derived pH regulator), Limonene*, Linalool* *naturally occurring in essential oil. This beautiful product has completely changed my perception of cream cleansers and I have been loving it these past couple of months. It’s been perfect for my combination skin that has been more dry than anything else lately and every time I use it I am always so impressed by how balanced, soothed and nourished my skin is left. I just did a full review on it last week that you can check out here to read more about why it’s so good and believe me, it is. This cleanser now has a permanent place in my cleansing arsenal and I can’t wait to use this jar up so I can get the new larger size that comes in a bottle with a pump. Heaven! Great post as always ! 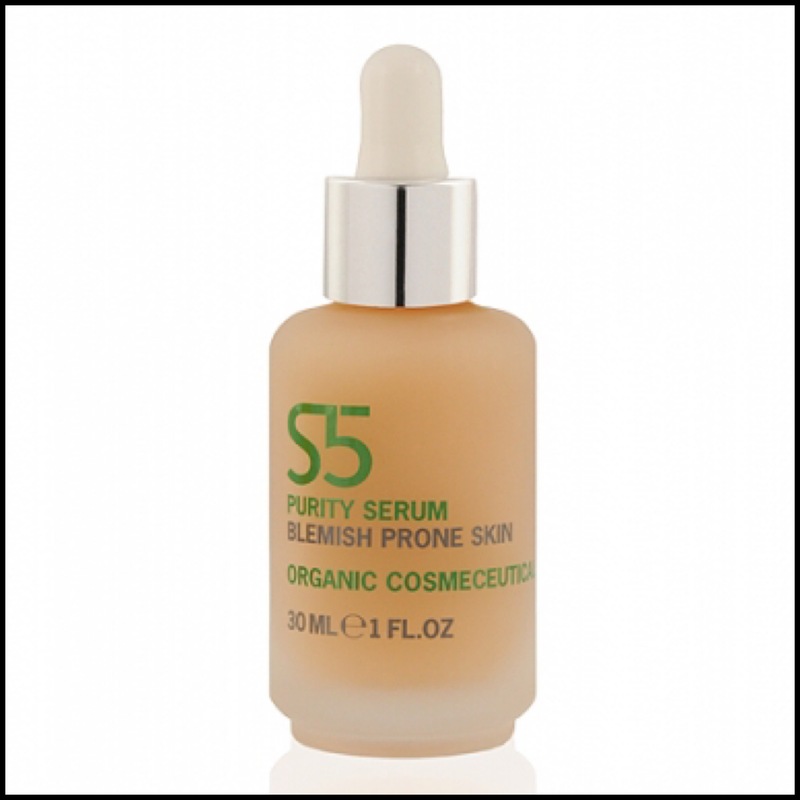 Not that I need anything but I so want to try the S5 serum. Since the kypris clearing serum didn’t work that well for me , I’m looking forward to try their purity serum !! Love reading your post . Dear Arly. Loved each and every bit of the post. 2. The Oskia serum is JAM PACKED with such amazing ingredients. 3. S5 Skincare deserves a post of its own. I really need to try the oskia serum n aurelia cleanser! Both sound lush! The Miracle Cleanser from Aurelia has been on my wishlist for a long time, but opinions on it are varied, so it’s hard for me to figure out if the splurge would be worth it.